Detection of Rat and Mouse PDGF R beta by Western Blot. Western blot shows lysates of rat spinal cord tissue, rat brain tissue, and mouse brain tissue. PVDF membrane was probed with 0.25 ╡g/mL of Goat Anti-Mouse PDGF R beta Antigen Affinity-purified Polyclonal Antibody (Catalog # AF1042) followed by HRP-conjugated Anti-Goat IgG Secondary Antibody (Catalog # HAF019 ). A specific band was detected for PDGF R beta at approximately 190 kDa (as indicated). This experiment was conducted under reducing conditions and using Immunoblot Buffer Group 1 . PDGF R beta in Mouse Embryo. 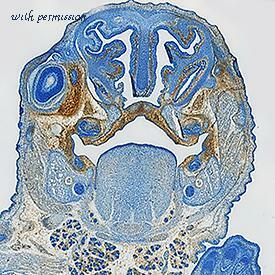 PDGF R beta was detected in immersion fixed frozen sections of mouse embryo (13 d.p.c.) 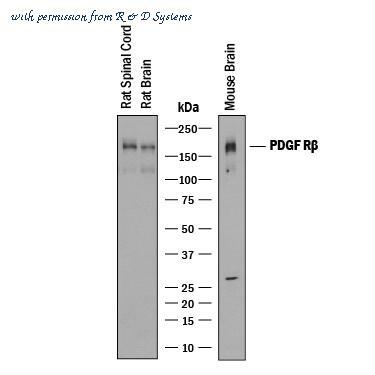 using Goat Anti-Mouse PDGF R beta Biotinylated Antigen Affinity-purified Polyclonal Antibody (Catalog # BAF1042) at 15 ╡g/mL overnight at 4 ░C. 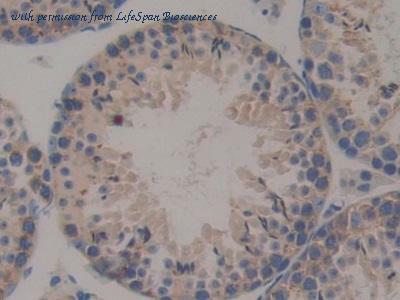 Tissue was stained using the Anti-Goat HRP-DAB Cell Tissue Staining Kit (brown; Catalog # CTS008 ) and counterstained with hematoxylin (blue). Specific staining was localized to developing brain. View our protocol for Chromogenic IHC Staining of Frozen Tissue Sections . The PDGFRB antibody from Proteintech is a rabbit polyclonal antibody to a recombinant protein of human PDGFRB. This antibody recognizes human,mouse,rat antigen. 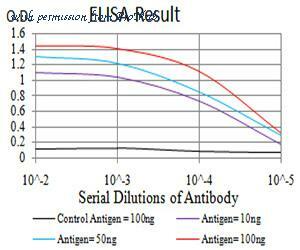 The PDGFRB antibody has been validated for the following applications: ELISA, WB, FC analysis. Western blot of recombinant PDGFRB / PDGFR Beta. PDGFR Antibody western blot of mouse NIH-3T3 cell line lysates (35 ug/lane). 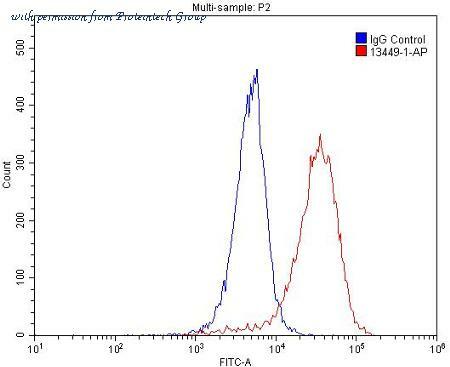 The PDGFR antibody detected the PDGFR protein (arrow). 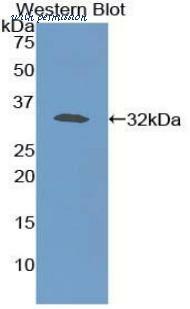 Figure 3:Western blot analysis using PDGFRB mAb against HEK293 (1) and PDGFRB (AA: 33-133)-hIgGFc transfected HEK293 (2) cell lysate. Flow Cytometry: PDGF R beta Antibody (APB5) [NBP1-43349] - Mouse brain pericytes - IgG (left) and PDGFRB (right). Image from verified customer review. Western Blot: PDGF R beta Antibody (SY10-08) [NBP2-67384] - Analysis of PDGF Receptor beta on NIH/3T3 cell lysates using anti-PDGF Receptor beta antibody at 1/1,000 dilution.